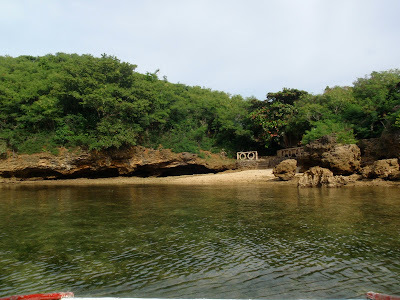 Guimaras is an island province located of the coast of Iloilo. It is one of the smallest provinces in the Philippines and its capital is Jordan. Guimaras is famous for its mangoes - in fact it's known to have the sweetest mangoes in the world. Getting to Iloilo is considerably easy since there are a number of flights from Manila. Check Cebu Pacific airlines for the best rates. 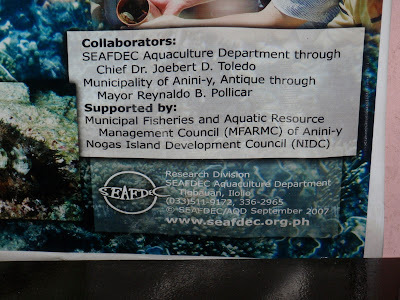 Do note that the city of Iloilo is relatively far from the airport - around a half an hour drive. I got to be hosted by the Lopez family in Iloilo. The Lopez family is a very wealthy and influential family in the Philippines. The group owns a host of companies ranging from power to media. The family traces its origins to Iloilo. I got the opportunity to be hosted by Ms. Emily Lopez who is the daughter in law of past Vice President - Fernando Lopez. She was also the a governor and congresswoman in the Philippines. At the age of 65, Ms. Lopez doesn't look a day beyond 35. And the grace and elegance which she carries herself will put many of today's women to shame. We also got the opportunity to see the palatial family houses of the Lopez family in Iloilo. The house where we met Ms. Emily Lopez was called the Lopez Colonial house and like all the other houses were built decades ago and have housed many illustrious and dynamic members of the Lopez family. I even got the opportunity to take a nap in one of the rooms. Another beautiful mansion that we got to visit was Nelly's garden which is also owned by the Lopez family. This house is older than 75 years old and is a landmark in the Philippines. It was one of the only old buildings that survived the Japanese bombing. The house is now used as a museum and can be booked for weddings and other functions. 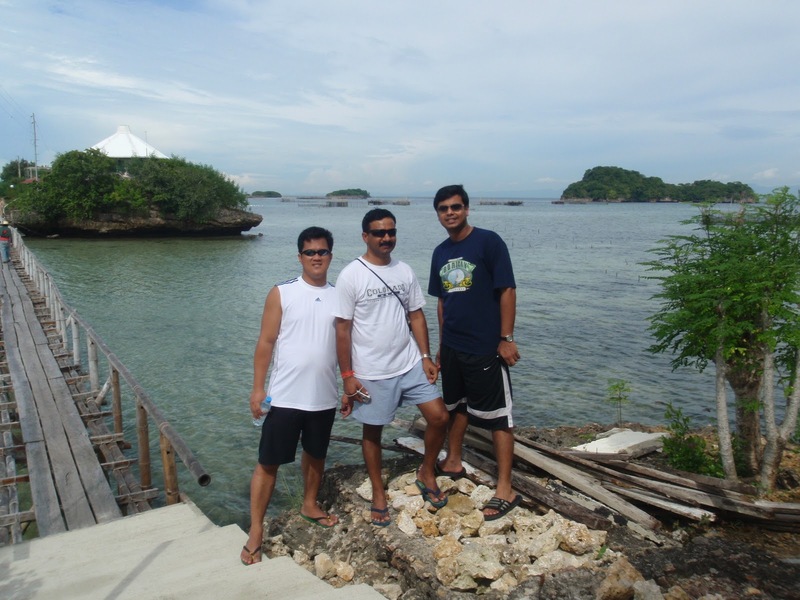 The Lopez family arranged for us to travel to the nearby island province of Guimaras. In fact, Ms. Lopez was earlier the Governor of the Guimaras province. As I mentioned earlier, Guimaras is very famous for its mangoes. Another thing that its famous for is its ghost stories and stories of witch-craft. There are a number of rumours floating around that there are a number of witches still living in this island who have magical powers passed on to them from generation to generation. I heard this from few of the locals at Guimaras... However after I returned I tried looking this claim up on the internet but haven't found anything that looks valid! If anyone, does have some information on this, please do post it in the comments section. Getting to Guimaras from Iloilo is by means of a short ferry ride. Get to Ortiz Wharf in Iloilo from where there are a number of ferries leaving to Guimaras. Guimaras is also the home of the Manggahan festival which is a Mango festival occurring every year in the last week of May. 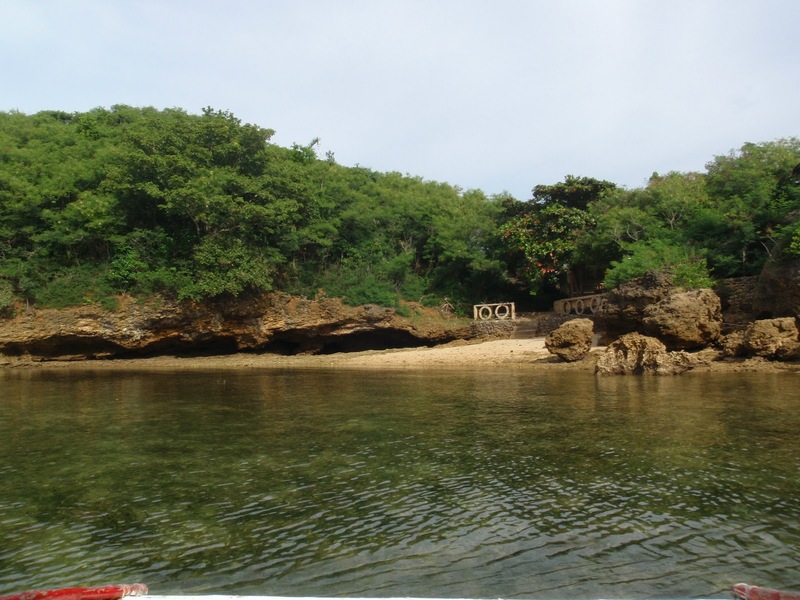 There generally aren't as many tourists to Guimaras as many of the other places in the Philippines. And this is the very reason why you can find so many unspoiled beaches and coves here. We got to stay on an almost secluded resort overnight. Our cottage was 5 steps away from the beach and we could even dive into the water at various secluded locations. This was truly a wonderful experience. 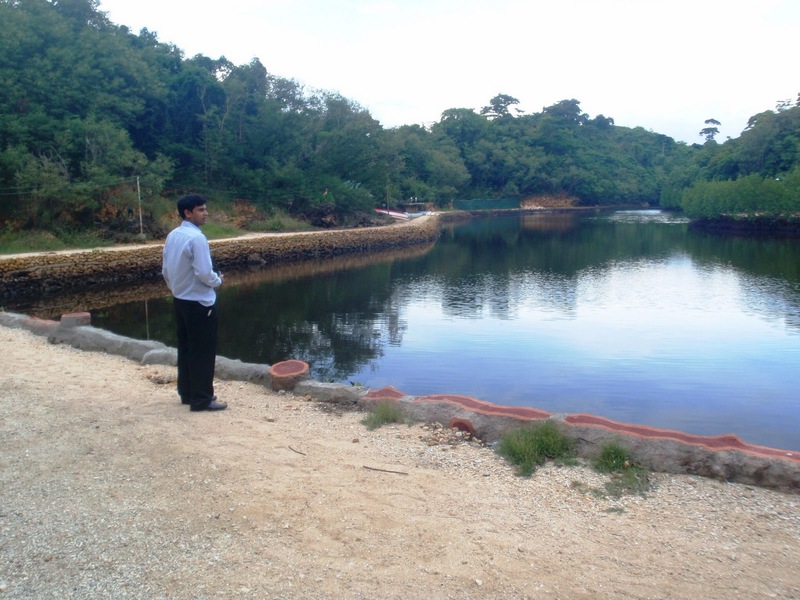 After a night at this resort which was actually also a marine school, we took a boat and decided to explore the surroundings early in the morning. The boat man took us to a nearby Marine research setup called the SEAFDEC Aquaculture research (Some South East Asian Fisheries etc etc) .... This was a pleasant surprise as in the middle of nowhere you actually have a lab setup where they grow and study fishes. The famous milk fish or boneless bangus is grown here and its actually famous in the Iloilo province. We saw one huge fish here which they said was around 15 years old and 85 kilos heavy (Heavier than me). 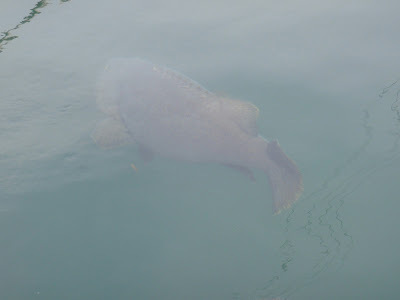 They were feeding it with other small fish and it was busy jumping in and out of the water! They said that the thing was carnivorous and would even eat rats, cats and anything that you would throw in! Another useful information blog that I found on Guimaras is http://exploreguimaras.blogspot.com/ . Has loads of infomation that will help you travel to Guimaras.